As much as we may not like to think about it, our pets’ can get ill and being proactive is important to help maintain their health. 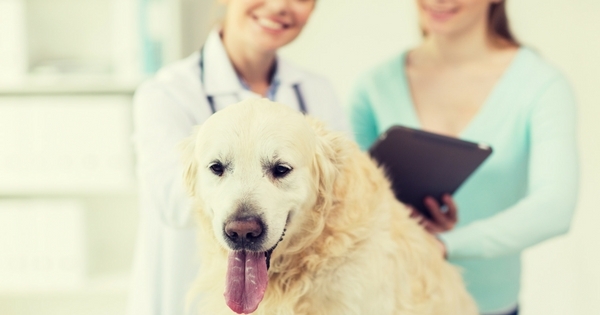 Pet owners must continually watch for symptoms of potentially life-threatening health issues to keep their favorite furry friends healthy and active. When you get a new dog or cat, the first thing on your mind should be a trip to the vet for an exam and to get vaccinations. For dogs, the core preventive vaccinations are rabies, parvovirus, distemper, and canine hepatitis. For cats, those shots should include feline distemper, rabies, calicivirus, and rhinotracheitis. Other shots or medicines may be prescribed depending on the animal’s potential exposure to parvovirus or other problems. Even with proper inoculations and loving care, things happen. While some conditions like late-stage cancer or severe kidney disease may not be highly treatable, many illnesses are treatable, if not preventable. Here are a few conditions and possible symptoms or behaviors for pet owners to monitor. Main Symptoms: Lameness in one or more legs, apparent stiffness, and loss of appetite. Cause: Lyme Disease results from the bacteria from deer ticks attached to an animal for over 18 hours. Over time, the condition can spread and cause kidney disease or even kidney failure and death. Keep your pet away from likely tick-infested areas. Inspect your pet regularly for ticks. However, in an area where ticks are widespread other measures may be more effective. Preventative topical tick medicines, collars, and pills are useful for killing and deterring ticks. Remember that topical medication applied quarterly or monthly become less effective if the dog goes swimming or gets bathed frequently. Symptoms: Reluctance to exercise, cough, lost appetite can result in a swelling belly and eventual heart failure. If your dog eats chocolate, the animal can become very ill quickly. If your dog ate chocolate don’t wait to take the dog to the vet. The vet can evaluate the level of poisoning and treat it. Dogs have suffered seizures and even death as a result. Intestinal parasites are common in cats and can sometimes be detected by inspecting the cat’s feces. Tapeworms can be four to twenty-four inches in length. Topical, oral, and injection medication are available to prevent infestation, but eliminating any flea problems will prevent future issues. Causes: Overweight, unfit physical condition, stress, multi-cat household, dry foods. Because not urinating is a severe problem, consult a veterinarian immediately to determine the likely cause and a cure for the condition. Besides the apparent inflammation and irritation of the eyes, you may notice squinting or even pawing at the eyes. While some conditions are treatable with ointments or antibiotics, a trip to the doctor is always the safest solution. Hopefully, this helps you know if your pet needs to come in and see us. Your pet is a part of your family. If you have any questions please feel free to contact us.